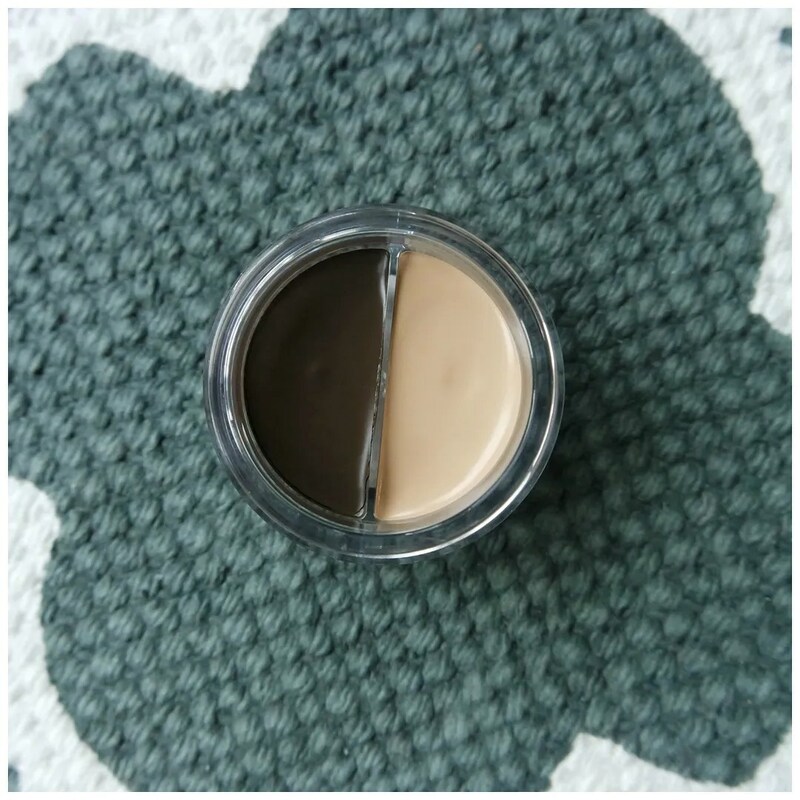 In terms of affordability, this is the cheapest brow pomade I’ve tried. At a mere €3.99 a piece this is even cheaper than the best brow pomade I have tried so far, which is by Freedom Makeup. This is a product I can buy in store, meaning I won’t have to pay for shipping, while the Freedom pomade is only available to me online and nearly €2 more expensive. Packaging wise this really isn’t too special. The pot is plastic, the lid is plastic and that makes this feel rather cheap overall. This is also available in only 2 shades, while the Freedom pomade is available in 10 shades. However, Freedom as a brand has also been phased out and been replaced by Revolution Pro, so it become increasingly difficult to find that product. Would this be a good alternative? The swatch itself already shows you that this is quite a thick formula. It is very creamy and has a lot of slip to it. I’d say this almost feels a bit greasy, which, for a waterproof product, is never a great sign. 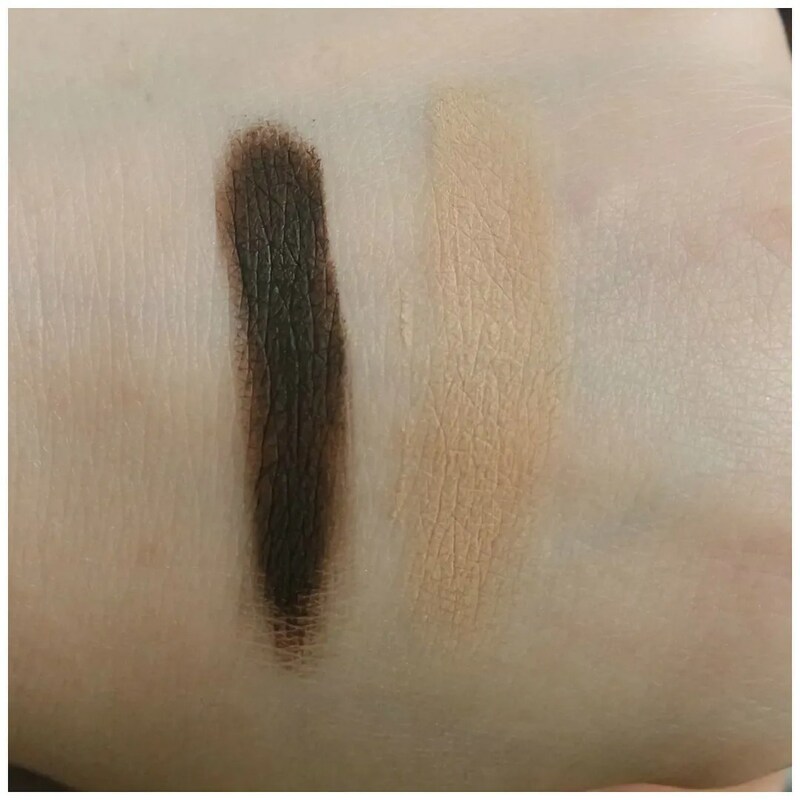 This is the darkest of the two shades: the lighter one which is more aimed at blonde hair looked too warm as is usually the case with brow products. This looked a lot more cool toned, but that also means it looks much too dark for me. While the brow product I could probably still work for me: I’d rather have a darker brow color that is slightly too dark, but with the right undertone than a light enough brow color that is too warm. The concealer on the other hand leaves much to be desired. It is quite cakey, already in the swatch and this shade is nearly orange on me. Since I also do not carve out my brows, this product is a bit wasted on me. I purely bought this to try the pomade. In the top picture you can see my bar brow. 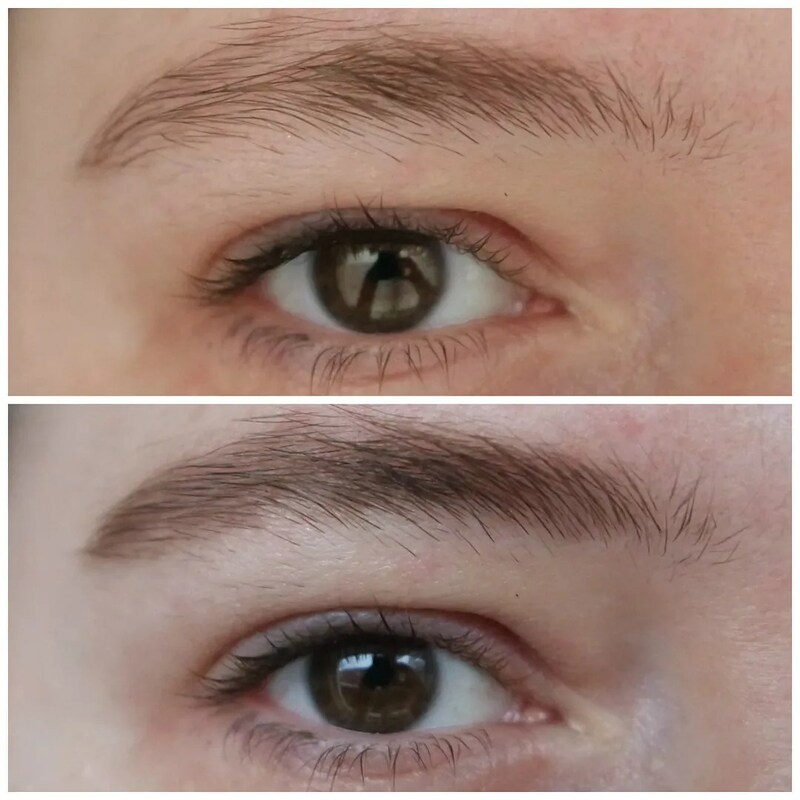 I think I have pretty good natural brows: they are quite fluffy and full naturally, which I think is quite good now that brow trends have gone more towards heavier, fluffy brows. 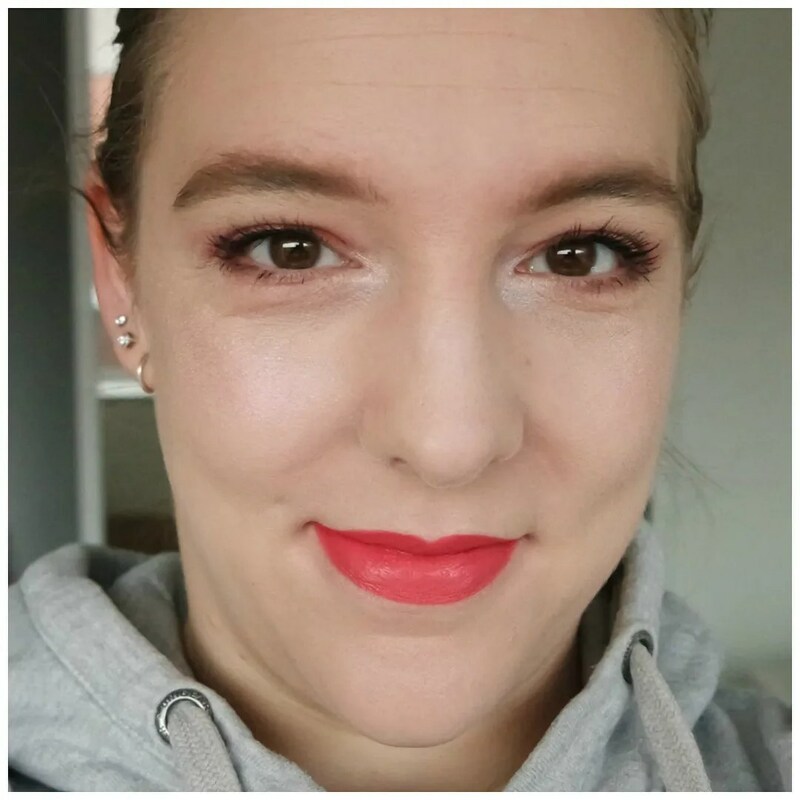 Since I am blonde however, many of the hairs that are there do not show up very well, making my brow look much more sparse than it actually is. Therefore my brows don’t need much to make them look fuller and more polished. In the picture below you can see the effect of the brow pomade on my brow. While the shade is possibly a hair too dark, I feel I can get away with it. I may have naturally blonde hair, but for some reason my brows and lashes have always been dark. This is why I usually go for lighter brow products as I feel it evens out my features a bit more. However, since my brows are naturally quite dark and this is quite close to my natural brow color, I feel it doesn’t look weird. Application wise, I used a very thin and flexible angled brush by Essence that I bought ages ago. It is thin enough that it can mimic brow hairs if you’d like. With this product, I found it hard to create precise strokes because it was very creamy. However, it worked incredibly well for truly filling in the brow and adding fullness to the brow. I used a brow gel on top to make my actual brow hairs stand out more to make the brow look fuller and fluffier. 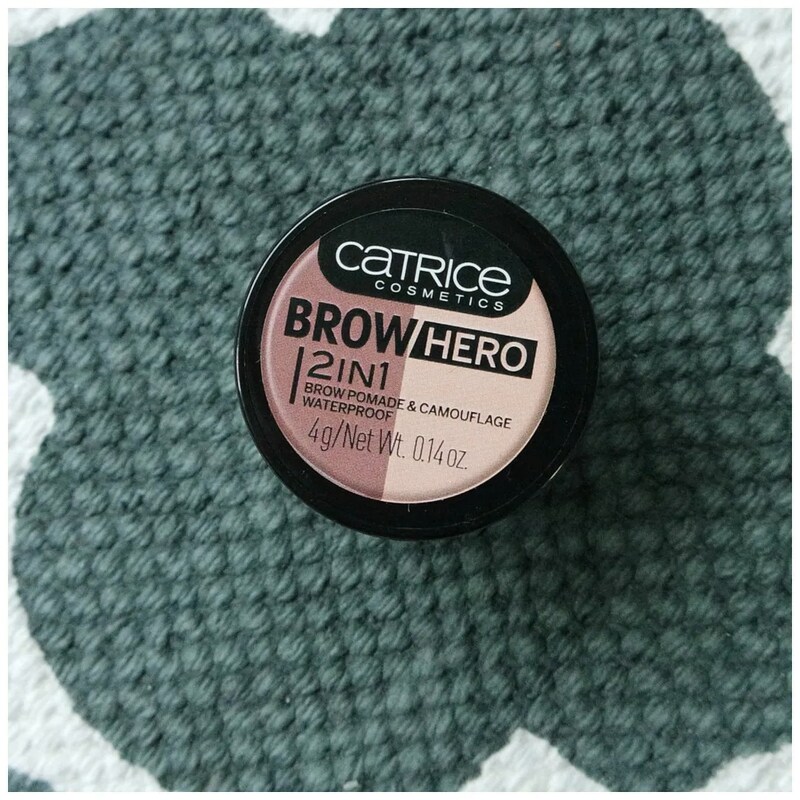 The Catrice 2-in-1 brow pomade is a good product, but it takes a little bit of work to truly make it look good. But I feel that goes for any brow pomade I have tried. It will never be my preferred way for a quick and easy brow look. However, if you are into more pronounced brows and want a cheap and cheerful option than this is worth checking out. That is, if one of the two shades are right for you, if not, then you’re better off looking into the Freedom/ Revolution Pro version and pay a bit more. What brow pomade do you use? I’ve never tried catrice cosmetics. It is a great brand, but not yet available worldwide. They are expanding though. I had never tried this. it looks really good – wow! may have to switch to this! currently using ABH brow pomade and I love that one!